Things aren’t helped when Magenta Sharp, bored of running her mail-order service, Spells on Tap, opens up a pop-up magic shop next to Pickles’ Emporium. 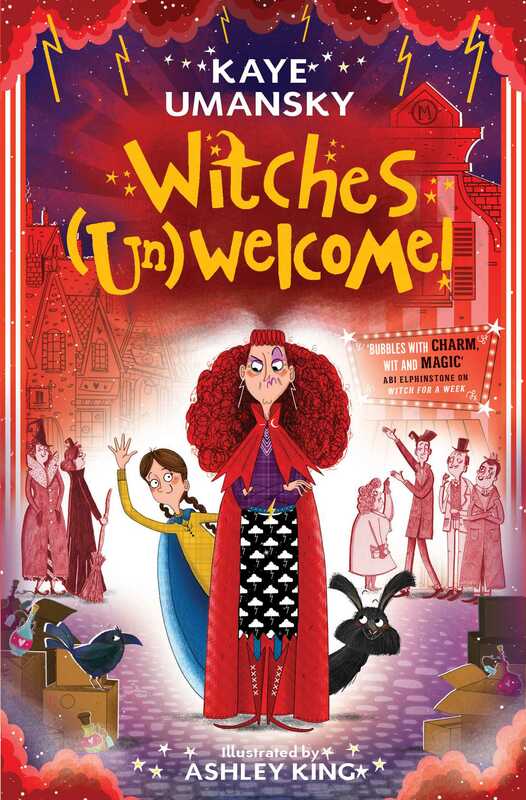 Soon the town is overrun with witches, much to the annoyance of the magic-hating people of Smallbridge! But maybe a little bit of magic is just the thing Smallbridge needs? Ashley King is a passionate Illustrator who hand draws, paints, creates, doodles, scribbles and loves coffee and cake. He graduated from Coventry University with a 1st Class Honours Degree in Illustration and Animation, and is represented by Plum Pudding Illustration Agency. His first illustrated children's book Erica's Elephant, Sylvia Bishop, published by Scholastic in 2016 with rave reviews, and his second book for young readers The Bookshop Girl, published in April 2017. He is also working on several other projects including working with Kaye Umansky on her new spell binding series Witch for a Week, publishing in October 2017 with Simon & Schuster.